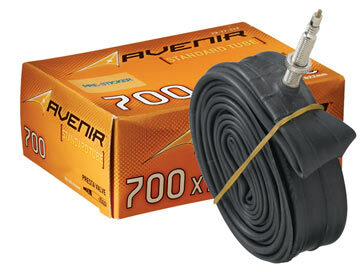 Bike tires should be inflated before every ride, especially if you ride less than once a week. The Blackburn Air Tower HP Pump is a great floor pump that can handle all your inflation needs. You’ll also really appreciate its easy-to-read oversize precision gauge and its conveniently long hose. The presta-valve-only features a bleeder button to let you release air to get just the right level of pressure. With 50% off all in-stock inner tubes, this deal is the perfect opportunity to replace patched tubes and stock up on spare tubes! This Hot Deal is good only December 29, 2011 - January 11, 2012, while supplies last. In-store purchase only; no online or phone orders accepted. No coupon necessary.